I made my own cranberry sauce this year for Thanksgiving and I will never buy canned or premade cranberry sauce again because mine turned out perfect (see note below for the link to the recipe I made). Unfortunately, of the six people who came to my house for dinner, only my aunt and I ate any of it which meant that I basically had an entire bowl leftover in my fridge. I figured, what a better way to take care of some leftovers than to throw them in a quesadilla? 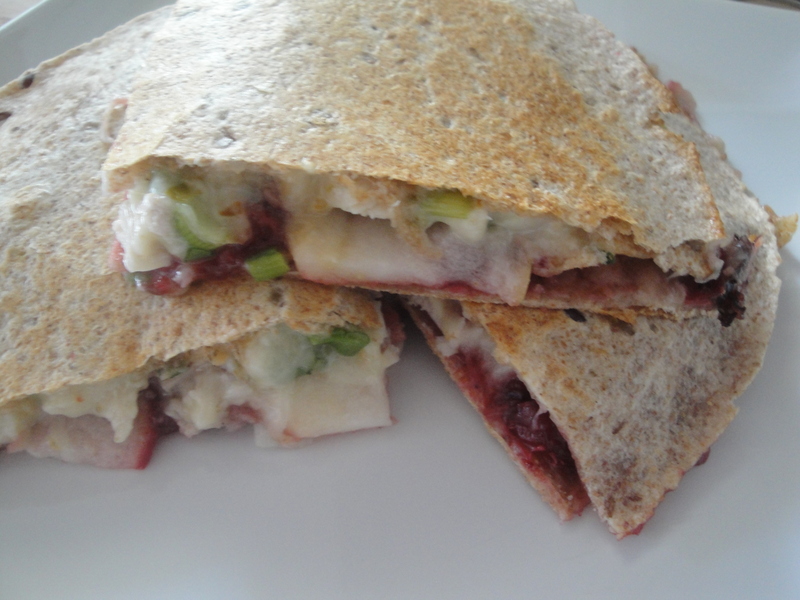 As a result, I came up with these Turkey, Cranberry, and Pepper Jack Quesadillas. 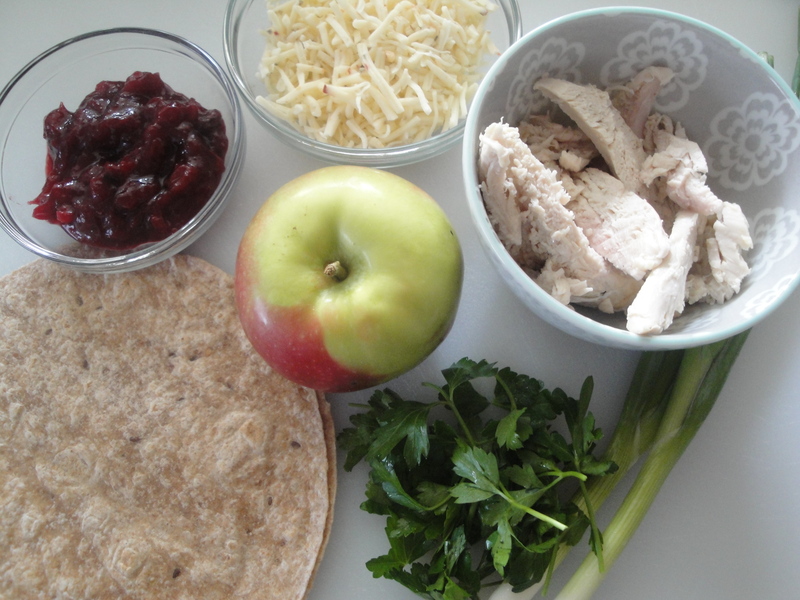 Cranberry sauce, turkey, sliced apples, scallions, parsley, and pepper jack cheese are sandwiched between whole wheat tortillas and grilled until toasty brown. One thing I love about quesadillas is that they can be an appetizer, snack, or a light meal in a pinch. These quesadillas are sweet, tangy, and spicy and you’d never know they are from leftovers. 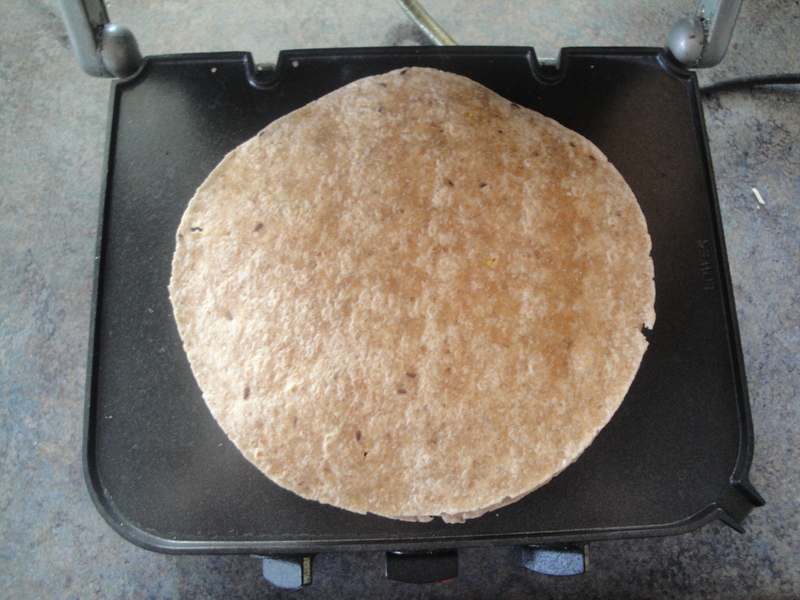 Place two tortillas on a flat work surface. 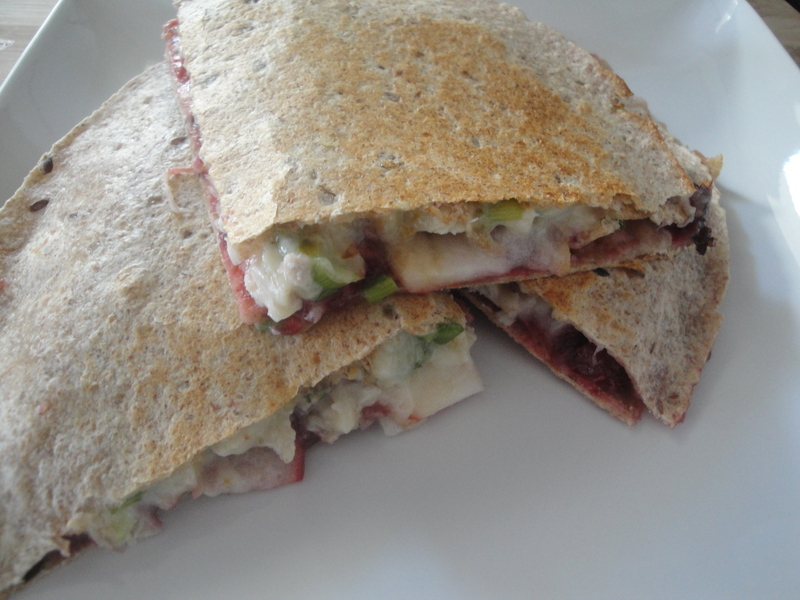 Spread 1/4 cup of the cranberry sauce on each tortilla; top with apple slices. Layer chopped turkey and 1 tablespoon each parsley and scallions on each tortilla. Sprinkle each tortilla with 1/2 cup of pepper jack cheese. Top cheese with remaining tortillas. Heat a large nonstick skillet coated with cooking spray over medium-high heat (or heat panini maker to 350°). Place one quesadilla in the pan and cook 1 1/2 minutes on each side until lightly browned (top with another pan to flatten quesadillas as they cook, if necessary). Remove quesadilla from pan and repeat procedure with the remaining quesadilla. Cut each quesadilla into 4 wedges. Serve with sour cream if you like. Place two tortillas on a flat work surface. 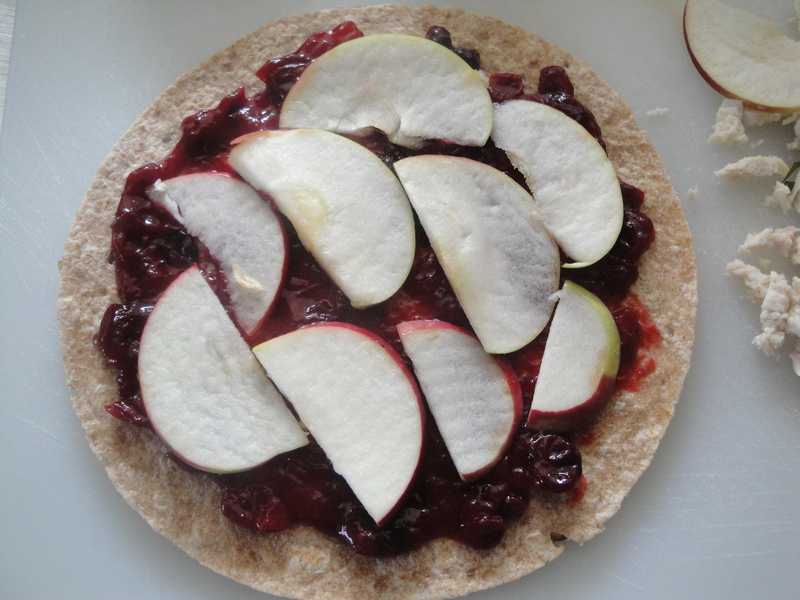 Spread 1/4 cup of the cranberry sauce on each tortilla; top with apple slices. 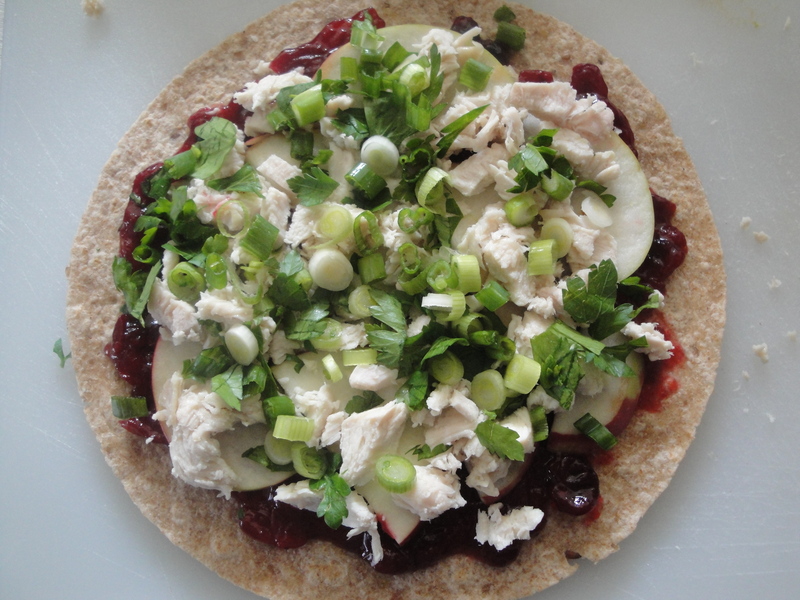 Layer chopped turkey and 1 tablespoon each parsley and scallions on each tortilla. Sprinkle each tortilla with 1/2 cup of pepper jack cheese. 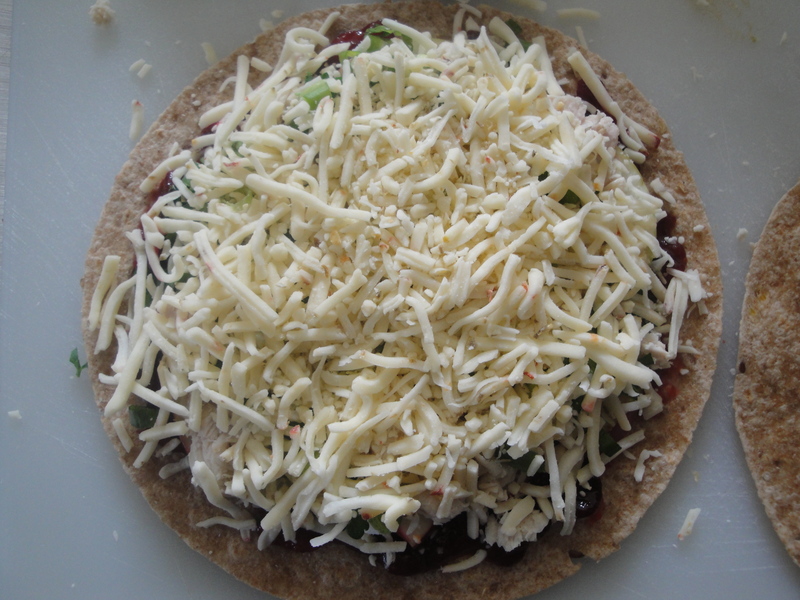 Top cheese with remaining tortillas. I used my beloved Cuisinart Griddler® to make my quesadillas (heated to 350°). Remove quesadilla from pan and repeat procedure with the remaining quesadilla. Cut each quesadilla into 4 wedges.